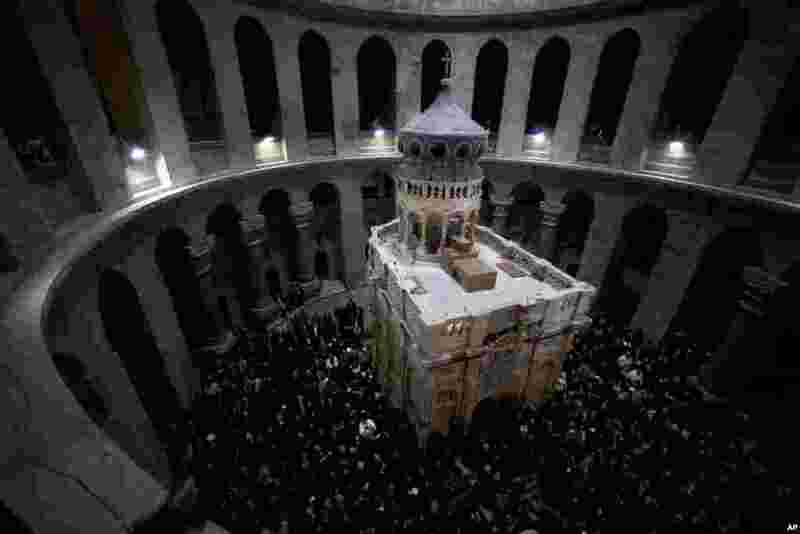 1 The renovated Edicule is seen during a ceremony in the Church of the Holy Sepulchre, traditionally believed to be the burial site of Jesus Christ, in Jerusalem's Old City. 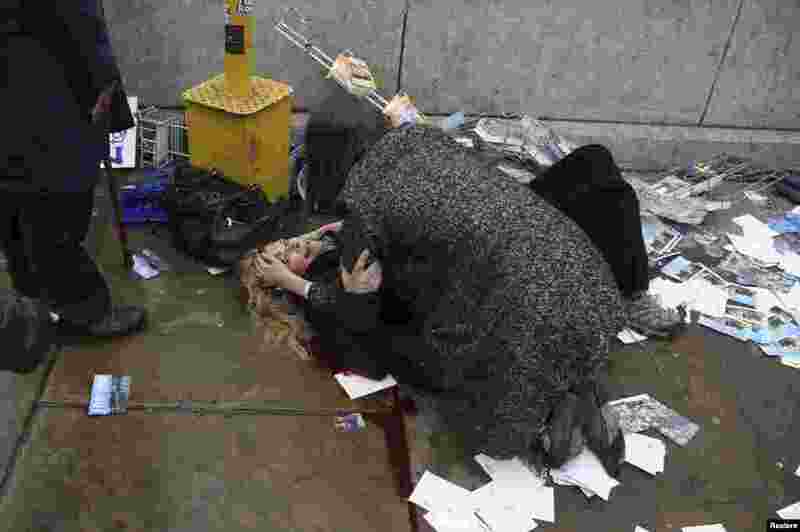 2 A woman lies injured after a shooting incident on Westminster Bridge in London. 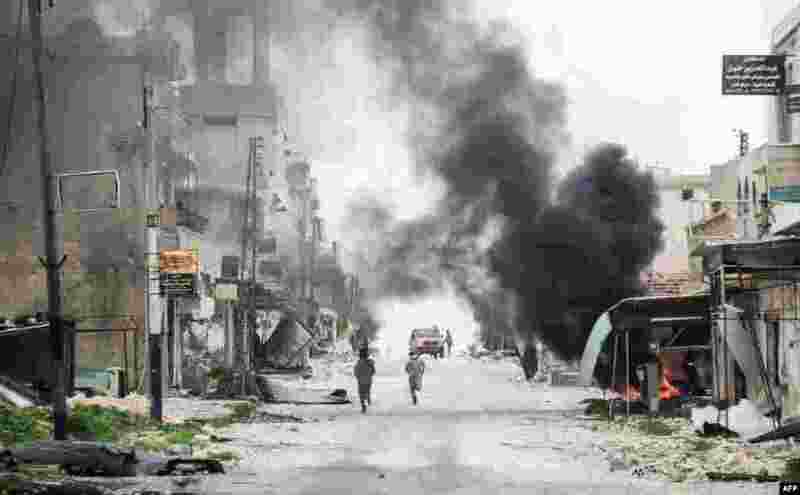 3 Fighters run in a street in the Syrian town of Tayyibat al-Imam in the central province of Aleppo. 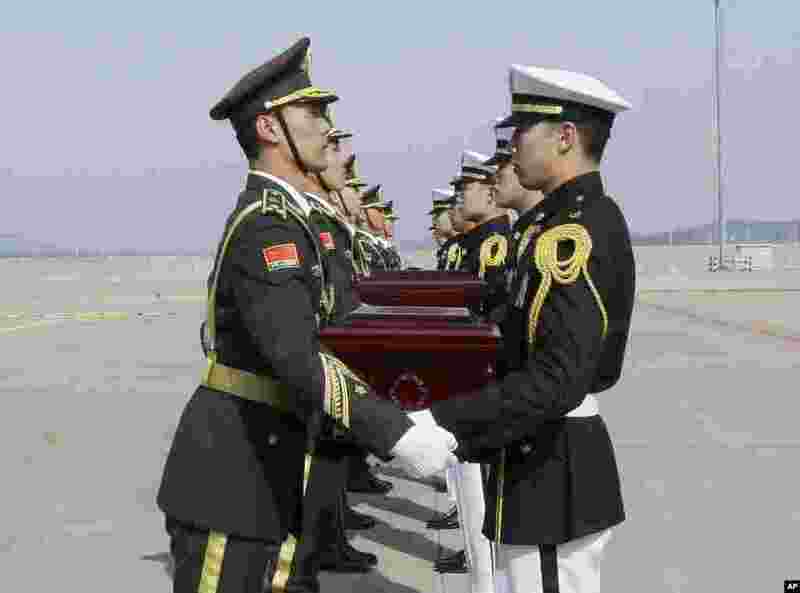 4 Chinese honor guards, left, receive caskets containing the remains of Chinese soldiers from South Korean honor guards during the handing over ceremony at the Incheon International Airport in Incheon, South Korea. The remains of 28 Chinese soldiers killed during the 1950-53 Korean War were returned home for permanent burial.